Securement of products during shipping is a primary concern for any business. Twice in the packaging process where shipping air pillows are needed. First - in the beginning when products need to be packed in a box and secured in it with air pillows. Second - when boxes are packed, they are placed on pallets and voids in truck or a container between the pallets should be filled with dunnage bags. 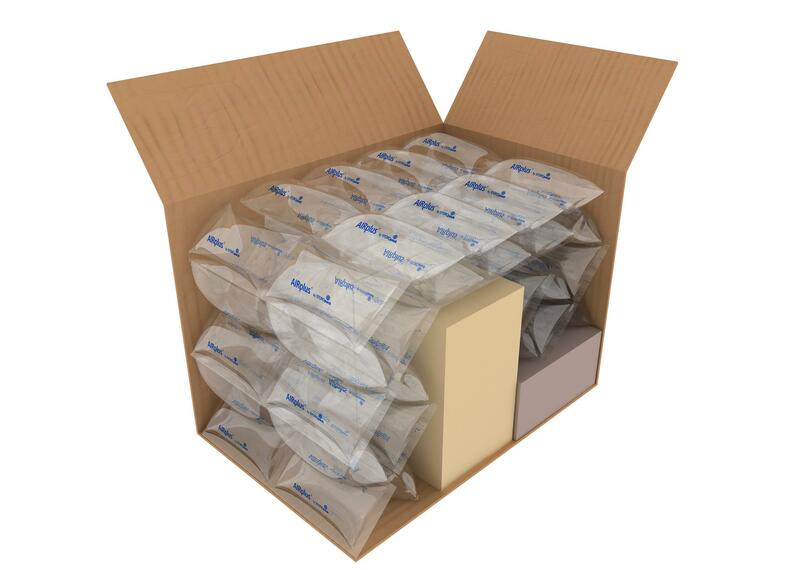 Primary securement in boxes is the most important regardless whether shipping on pallets or single packages. We offer the best on the market air pillows manufactured by Storopack company. Air pillows are sold as film rolls and are inflated with Airmove Inflatable Packaging System. The dimensions of the air pillows are: Bubble M - 16" x 1,150' x 9.76" Cushion M - 16" x 1,150' x 6.29" Void S - 8" x 1,150' x 4.72"
Ideal packaging solutions that saves time, space and easy to work withCreates air void for wrapping,.. Void air film is used for filling empty space in boxes to prevent moving 8" - width; 1,150' - l.. Bubble wrap film is ideal for wrapping fragile items 16" - width; 1,150' - length; 6.5" p..
Cushioning air film is used for cushioning large or delicate items 16" - width; 1,150' - length..